Ofo bikes can be unlocked with an app and don't have to be parked at a station. Bike-share startups Spin and Ofo dropped off about 100 of their brightly colored bicycles on downtown sidewalks Friday. Unlike the red B-cycle bikes, these bikes don’t require stations. Instead, users can rent a bike wherever they find it, using an app that provides a code to a lock on the back wheel. These bikes are making their U.S. debut at SXSW. 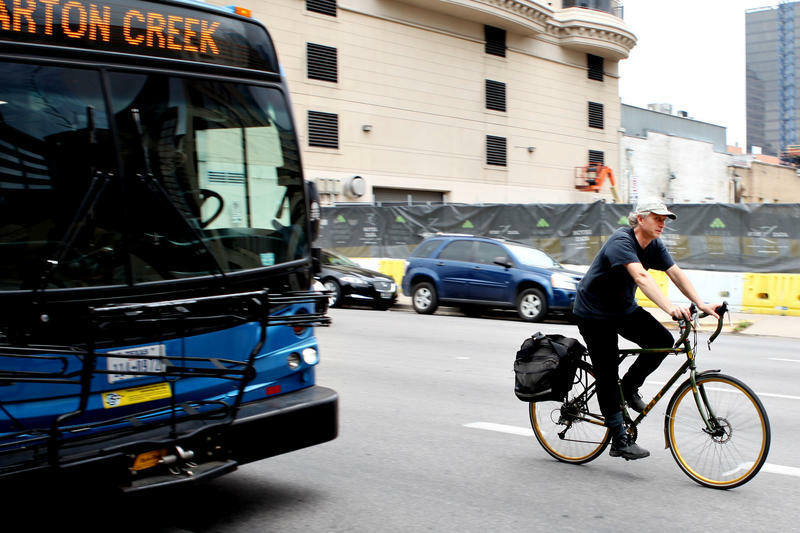 Lynn Craig, who is visiting from Denver, used an Ofo bike to get from the JW Marriott to Rainey Street on Sunday. While dockless bikes are a new concept here, they are ubiquitous in China. 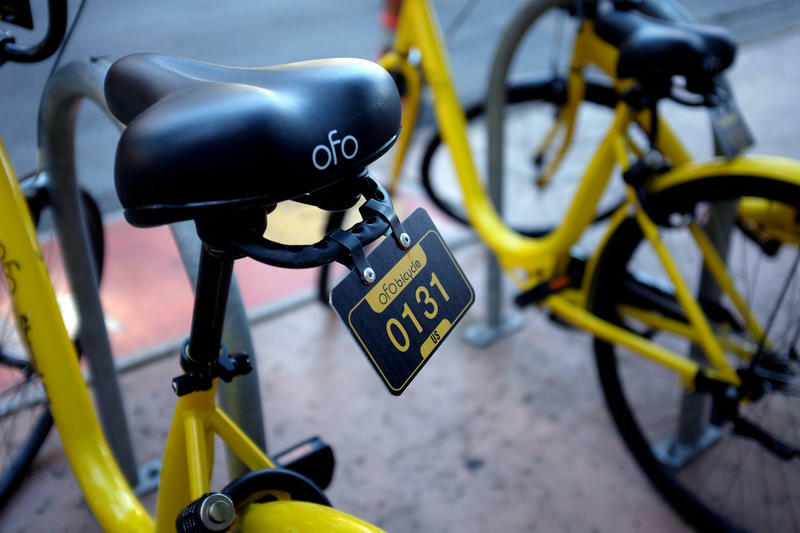 Ofo operates more than a million bikes in 43 Chinese cities and just raised $450 million to expand globally, according to Bloomberg. Angela Cai, Ofo’s senior PR manager, made it clear that the company wants to stay in Austin beyond SXSW. Ofo’s Chinese competitor, Mobike, has bikes in town for SXSW, too. Spin, which was founded in San Francisco last year, chose Austin as the first city in which to launch its service, with plans to stay beyond SXSW, according to the company’s founder, Derrick Ko. He said he chose Austin because of the city’s $150 million master bicycle plan, which seeks to expand the city’s bike lane network. “This kind of messaging, this kind of really strong support about biking, resonates really well with us,” Ko said. Despite its reputation for being bike friendly, the City of Austin began tagging Spin’s bikes for impoundment Saturday and ordered both Spin and Ofo to suspend operations. 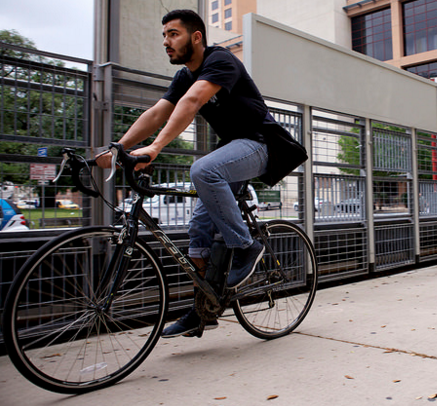 Neither company obtained the proper permits before dropping their bikes in Austin, according to Laura Dierenfield, the active transportation program manager for the city. The companies need a permit to operate commercial business in public rights-of-way, Dierenfield said. In order to get that from the city, they need to prove that their bikes are safe and they have insurance, as well as inform the city of how many bikes they have and how they plan to maintain them. A Spin bike with an impoundment sticker on it from the City of Austin. Despite this hiccup, Dierenfield said the city is excited to work with the companies to bring dockless bike sharing to Austin. 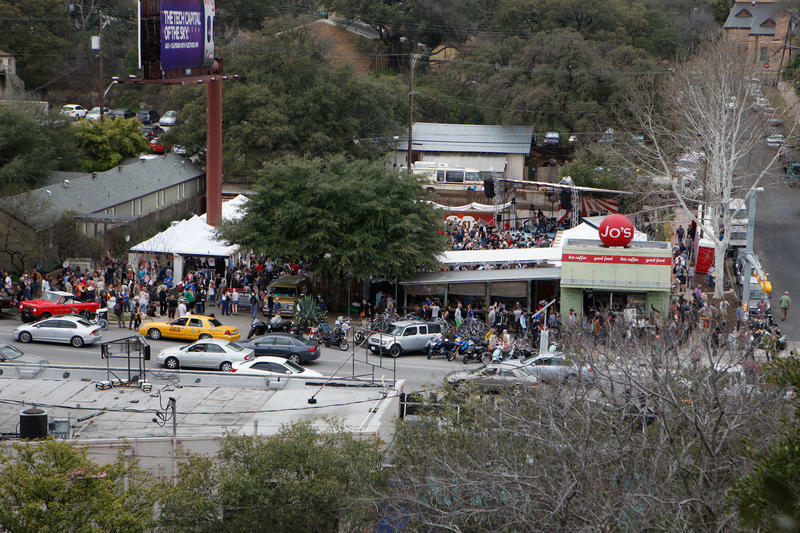 Officials are working with five bike-share companies, including Spin and Ofo, to let them safely rent out their bikes for the remainder of SXSW, according to a statement from the Austin Transportation Department. B-cycle Executive Director Elliott McFadden said he did not think the dockless bikes were safe and that he was concerned the companies would leave broken bikes on the road, creating a mess for the city to clean up. This is an issue with dockless bike-sharing in China. But Ko said he plans to open an office in Austin to ensure this doesn’t happen. Spin has 300 bikes in a warehouse it’s renting in Austin, Ko said. 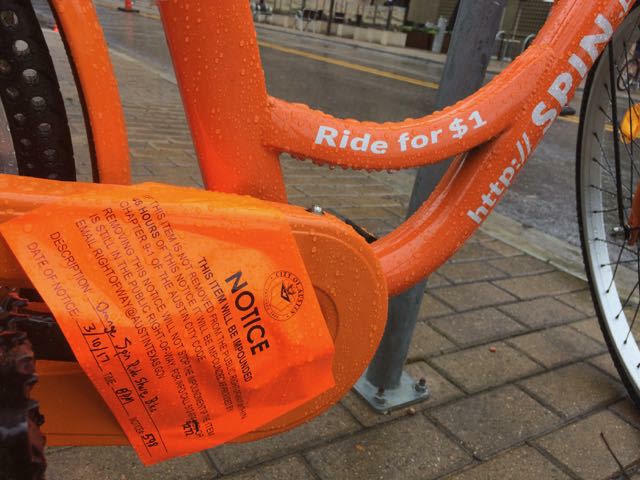 He said he expects to bring some of them back to the sidewalks of downtown within a day or two, so keep your eyes peeled for the bright orange bikes if you’re interested in taking one for a spin. 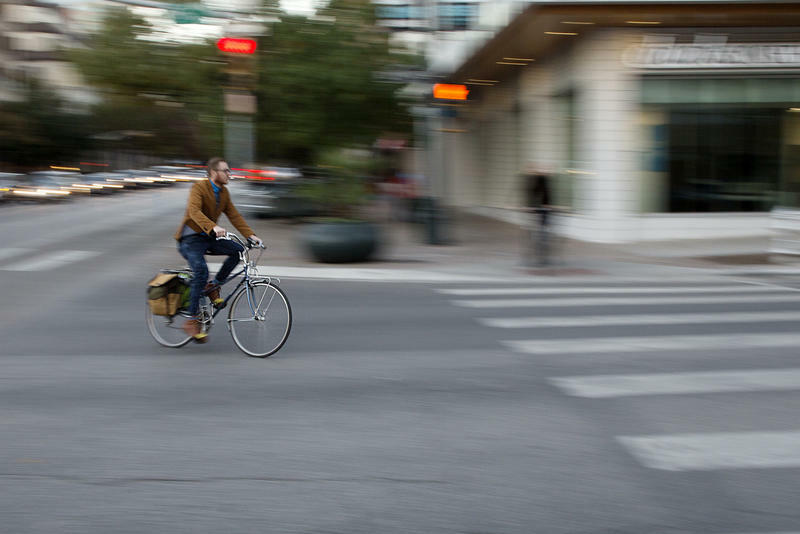 A new app’s looking to improve rides for Austin cyclists by using crowdsourced input on roads. Ride Report tracks a user’s bike route and surveys them on road and safety conditions after their ride’s concluded. The app allows Austinites to plan trips throughout the city, providing suggestions on the best possible routes and conditions based on aggregate user data. After each ride, you can rate your commute “great” or “not great,” and those ratings feed the app’s so-called “stress map,” which color codes the best and worst roads and trails in the city according to the data.